What to do when your Employer tries to get you to return to work? You’ve sustained an injury on the job causing you to go out of work. You are currently receiving workers’ compensation benefits. You’ve been receiving medical treatment, through workers’ compensation, which has been slow. Both you and your doctor feel that you are unable to return to work. However, you’re employer begins contacting you about returning to work. These situations are quite common, but unfortunately, there is no one single correct answer. Every injury is different. Every Employee is different. Every doctor is different. And, most importantly, every Employer is different. There is simply no way to know exactly how any given Employer is going to react under the circumstances. How Does A Disability Pension Through My Employer Affect My Workers’ Comp Benefits? This is a very common scenario. Many times, a public Employee who sustains a work-related injury is entitled to a “Disability Pension” in addition to workers’ compensation benefits under M.G.L. Chapter 152. A “Public” employee works for a City, Town, State or Municipality. These “Public” employers have pension systems in place, for the benefit of the their employees. These pension systems more often than not, substitute Social Security, although, there are circumstances in which the Employee can receive both. These systems often have pensions for injuries that occur both in the course of employment, such as a slip and fall at work, as well as non-work related injuries, such as if the employee were involved in a car accident on his or her own time. Every year, the Massachusetts Continuing Legal Education (MCLE) hosts a one-day seminar focused on Workers’ Compensation Practice in Massachusetts. 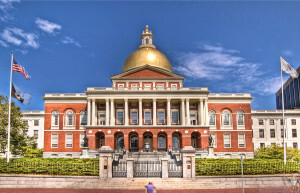 The day is broken into several sessions focusing on relevant topics in Workers’ Compensation Practice, both in Massachusetts as well as on the national level. Attorney William H. Troupe of the Troupe Law Office was once again asked to speak on the panel dealing with Benefit Enhancers. 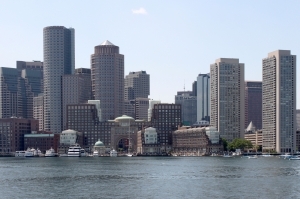 This panel deals with a very important topic under the Massachusetts Workers’ Comp Law. M.G.L. Chapter 152 provides only a limited amount of benefits to an injured worker. However, it is important for any practitioner of Workers’ Comp law, to familiarize themselves with the various ways in which these benefits can be increased or maximized as much as possible. Some common examples are concurrent employment, prevailing wage claims, Section 35B, etc. Joining him on this panel were two Judges at the Department of Industrial Accidents: Hon. David G. Braithwaite, and Hon. William C. Harpin. Also on the panel were two experienced Workers’ Compensation practitioners: Alan S. Pierce, Esq., and Mark H. Likoff, Esq. This is one of the most frequently asked questions we are asked when interviewing potential clients. Unfortunately, it is also one of the most difficult questions to answer. People who are injured or have a medical condition that makes them unable to work for a living are potentially eligible for Social Security Disability (SSD) benefits. To qualify, first, the individual must have worked under the Social Security System for a requisite period of time. This is called having sufficient “quarters” to qualify for SSD. For most people, you must have 40 quarters to qualify. So, If you have the sufficient quarters, you could be eligible to receive SSD. People who have sustained a work-related injury, which puts them out of work indefinitely, have immediate concerns. The first, and probably most important question is, will I be able to sustain myself, financially, while I’m out of work. This is precisely why Workers’ Compensation benefits exist; to provide financial, and medical, security while the injured employee remains out of work. However, the period immediately following a work injury is an extremely confusing period. In addition to dealing with the actual injury and resultant medical care, workers’ compensation insurance companies almost instinctively swarm the injured employee with paperwork, forms, etc. This is because these insurance companies go to work immediately to try and defend themselves against a potential claim. That is why it is imperative that any injured employee contact an experienced workers’ compensation attorney as soon as possible. Part 1 of this blog dealt with how weekly workers’ compensation benefits and monthly Social Security Disability benefits can offset each other. But what happens if you settle your workers’ comp case? In Part 1, we used an exmaple of someone in an “offset situation.” That individual was receiving both weekly workers’ comp benefits at the rate of $500 per week, and a monthly SSD check for $633.35. In this example, his full SSD rate, or PIA, was supposed to be much higher, at $1,200 per month. But, because of his receipt of weekly workers’ comp checks, he was in offset, and thus, his SSD benefit was reduced. If this individual were to “settle” his workers’ comp case, he would cease to receive a weekly workers’ comp check. Rather, he would receive a final lump sum cash payment to close out/settle his case. The question then becomes, what effect does this settlement have on his ongoing Social Security Disability benefit. However, depending upon certain factors, one may not be able to collect his or her Social Security Disability benefit in full. This is because the receipt of weekly workers’ compensation benefits under M.G.L. Chapter 152 can create an “offset” on Social Security Disability (SSD) benefits. In other words, workers comp benefits could cut in to and thereby reduce one’s social security disability benefits. Sometimes, it can eliminate Social Security Disability altogether. This is one of the most common questions asked of attorneys practicing in workers compensation, or any personal injury type of law. For someone who has sustained a work-related injury, with potentially career ending consequences, this is often times their primary concern. Are they going to be able to get enough money to support themselves going forward? Section 48 of Chapter 152 provides that the parties to a workers’ compensation case may enter into an agreement to “settle” the claim by the payment of a lump sum amount. In other words, the parties can agree to “close out” the case by a payment of a certain sum of money to the Employee. As mentioned above, the main question on the Employee’s mind is usually, “how much am i going to get?”. Unlike personal injury cases like a motor vehicle accident, or a products liability case, workers’ compensation cases are valued in a very specific way. The two main components to determining the monetary value of a workers compensation case are 1) the Employee’s compensation rate, and 2) the amount of time the Employee could remain on workers comp weekly benefits. With some limited exceptions, these are often the only two factors that will go into determining a settlement amount. You’ve been injured at work. Your doctor says you’re disabled from working. You need to file a claim for workers’ comp benefits, and you need certain information to do so. Unfortunately, your Employer is refusing to give you the information you need. 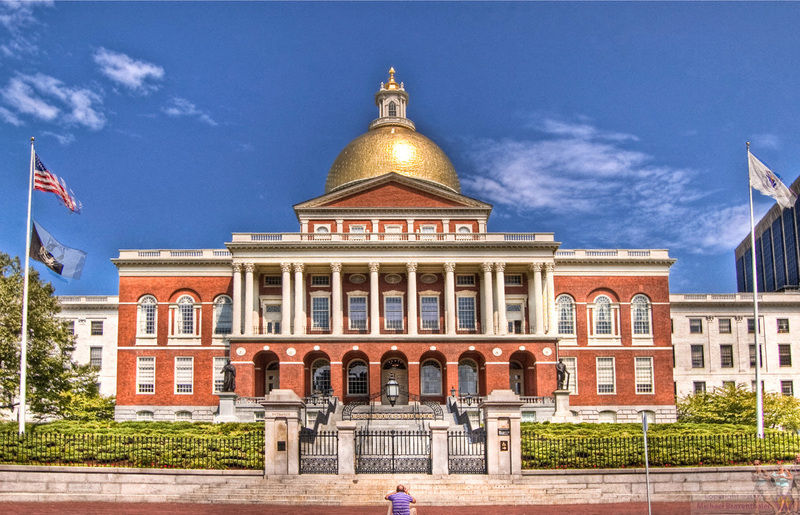 Though the Massachusetts Workers’ Comp law requires information of this type to be readily available, some Employers simply ignore these requirements. Or, say you’ve been injured at work, and your Employer has sent you to their clinic to begin treatment. Many Employers have a “preferred medical provider” that they work with. In situations like these, if an employee is injured, the Employer will often take steps to “steer” the employee towards their preferred clinic. They may assure the employee that this is the quickest way to get treatment, and that they won’t be responsible for out of pocket costs. However, the problem is that this provider has both the Employee’s, as well as the Employer’s interests in mind. As a result, many Employees soon learn, or soon suspect that their doctor is not 100% on their side. The Department of Industrial Accidents Reviewing Board recently held that the standards M.G.L. chapter 152, section 27 were not met, thus affirming the decision of the Administrative Judge. Click here for a link to the case. M.G.L. chapter 152, Section 27, pertains to situations involving an injury caused by the “serious and wilful misconduct” of the Employee. In these situations, if it is determined that the injury was, in fact, caused by the serious and wilful misconduct of the employee, no compensations shall be awarded. Section 27 is, in many ways, the counterpart to Section 28, which deals with serious and wilful misconduct of the Employer. Historically, both sections are rarely applied because of the high thresholds in making a determination/ruling that the conduct in question rises to the level of “serious and wilful.” In many ways, the conduct must rise above mere negligence, or even gross negligence, and must be almost to the level of quasi-criminal in nature. In other words, the conduct in question usually must be quite severe to be considered “serious and wilful” per these Sections.